Who Needs a Breathalyzer When a Urinal Can Tell How Drunk You Are? Here's a brilliant idea that could prevent countless drunk driving-related deaths from occurring. 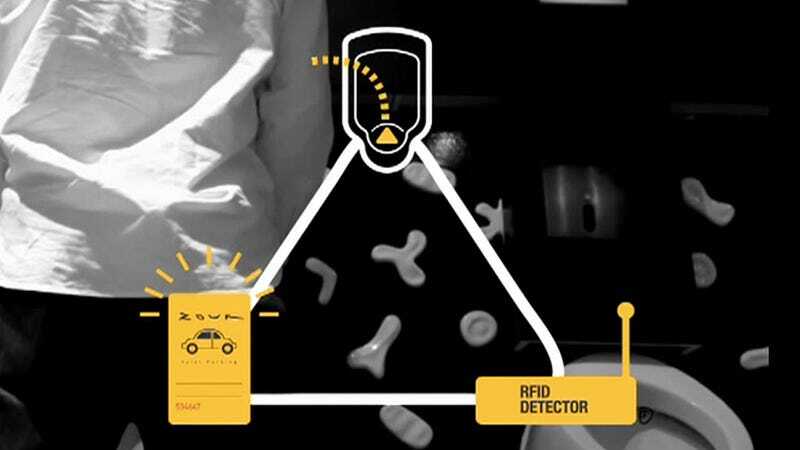 Working with a marketing agency called DDB, Zouk, a popular nightclub in Singapore, installed a series of urinals that are able to monitor a patron's blood alcohol level and warn them if they're too drunk to drive. It starts when a club goer hands their car keys to the valet and they're given an RFID-equipped claim ticket. If they're drinking they'll inevitably have to use the club's bathroom at some point. And when they do, sensors in the urinal will monitor the alcohol level in their urine, letting them know if they're above the legal limit and too drunk to drive. But the system goes one step further if a patron decides to ignore these warnings. If they are over the limit, the RFID claim ticket is tagged and when they go to pick up their vehicle with it, the valets will either offer to call them a cab or let them take advantage of the club's drive home service.